So pretty. 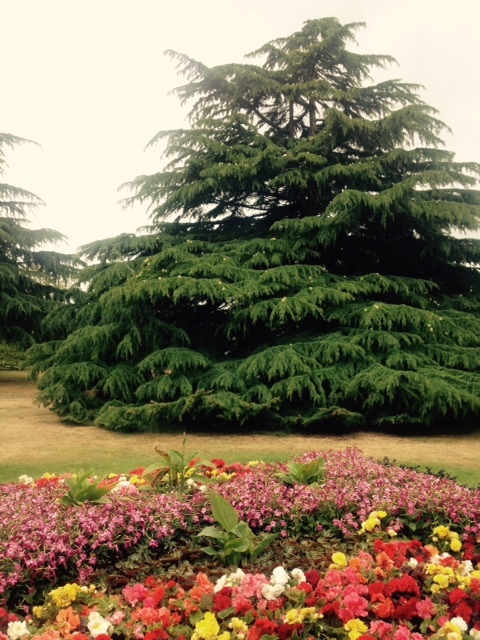 The Greenwich Park Flower Garden is blooming lovely at the moment. I don’t often write about places in Greenwich, the shiny neighbour of Charlton and Deptford. I figure it’s already a known tourist destination and doesn’t really need my tiny voice raising its profile. It has UNESCO’s world heritage imprimatur, after all. But I was walking through the Greenwich Park Flower Garden the other morning and got all inspired. I’d just knocked back an excellent coffee from The Scullery and was on my way to work, quietly enjoying my caffeine buzz. I always go through the flower garden because I just love it. It makes me happy and that’s a good thing before eight hours in Canary Wharf. Anyway, I got distracted by all the beautiful floral displays. My mum would have done so, too, if she didn’t live 10,000 miles away. The difference is that she would know the names of all the plants, and her photos would be a lot better because she’s a gun at that sort of thing. Because I’m me, and not my mum, you’re not getting stunning images and scientific knowledge. You’re getting my iPhone snaps and me going “oooh look at the pretty colours and shapes.” The only extra insight I can offer is that the gardens, which were first laid out in the 1890s, are absolutely stunning at the moment. Go there. Take a picnic or something. Have a saunter. It’s quiet and dreamy and perfect, and we probably all need a bit of that.